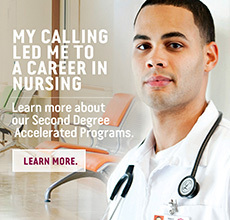 Stephen Pearson is a recent graduate of the Second Degree Accelerated Program (SDAP) at Mount Carmel College of Nursing. Stephen originally graduated from The Ohio State University with his Bachelor of Science (B.S.) in Biology/Biological Sciences. Less than a year later, Stephen was enrolled in SDAP at Mount Carmel College of Nursing, where his father is employed at the Mount Carmel Health Sciences Library. Stephen’s most memorable moments at Mount Carmel were his first and last days of clinicals. 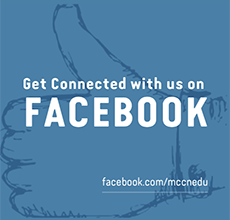 “It’s amazing to look back at my first day, at how nervous and unsure I was, compared to the last day and how much I grew in between those times and how much Mount Carmel helped me to grow.” Stephen also met his fiancé in the SDAP program at MCCN!